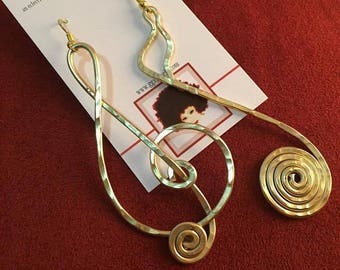 This listing is for a pair of multi-color abstract hand-coiled wire earrings. Made out of anodized aluminum wire - hypo allergenic, non tarnish, & lightweight. Many color combo's available to suit your accessory coordinating needs. Standard size is approximate 2.5-3”. Can be done larger by request. Can be done in up to 3 colors - CONVO me the 3rd color if that is your choice. 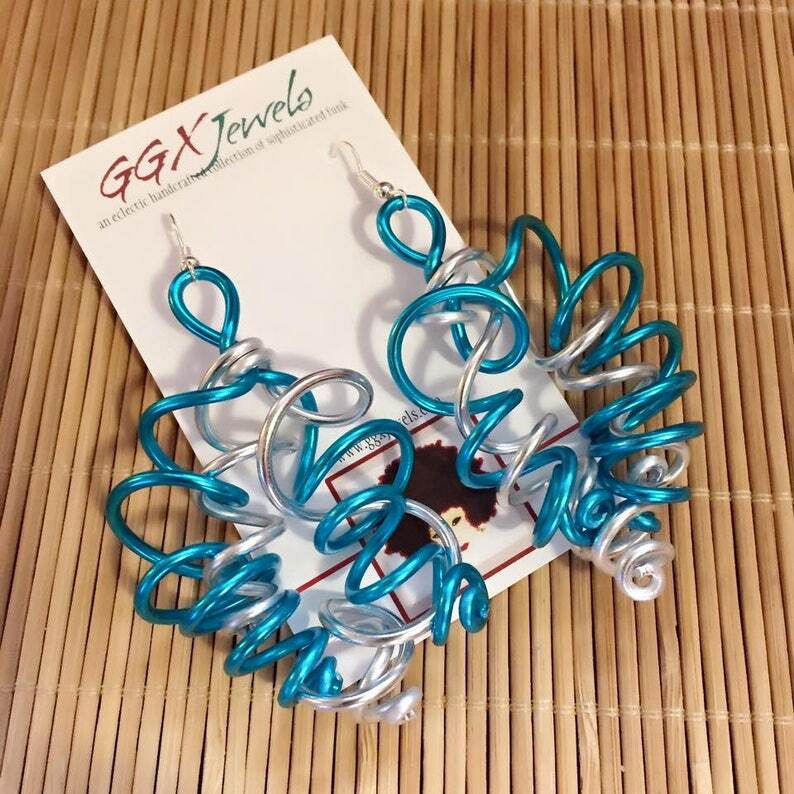 Please note that due to the abstract nature of my wirework, your items may not be identical to what is shown, but will be as close to the sample as possible. That's the beauty of wearable art!